I have written seven books so far and my author page can be found here. Julian’s Journeys, Travel Tales from Exotic Places like Salford, and Ten Traveller’s Tales are three collections of travel stories. These stories are part memoir, part travelogue, and part revelation about the effect travel has on me. I write stories about the baggage man at Tehran airport who helped me through customs in double-quick time and all for one dollar. I tell the story of the nun at the bus stop in Catania, Sicily, who was incredibly knowledgeable about the local delicacy, mortadella. I describe how I became slowly inebriated in Bulgaria, when one of the locals offered me the opportunity to sample his homemade slivovitz in his garden – all the while we wrote down football results on a piece of paper. I report a conversation I had with a super-smooth carpet-seller in Istanbul, who was always encouraging me to visit his shop. The pieces are about people, landscapes, architecture, food, museums, and me. When the reader reads the stories I hope they can see themselves where I am, doing what I am doing – ultimately I want people to feel that they can do what I have done and, hopefully, some of them will. If this happens, then I will have succeeded. 40 Humourous British Traditions. Britain has many well documented, yet strange traditions such as Cheese Rolling, Bog-snorkelling, Bonfire Night, and Haxey Hood. This book describes 40 more traditions in a similar vein, all of which haven’t started yet. All the stories are individual and distinct and so can be read independently if necessary; a book for the busy individual who perhaps has five or ten minutes to spare a few times a day. Sports the Olympics Forgot describes 40 sports that never achieved the popularity they should have. These sports include DVD Golf, Mongol Vegetable Chopping, and Dockey, a combination of Darts and Hockey. The Goat Parva Murders and The Manton Rempville Murders are murder/mystery stories based in fictional villages in England. 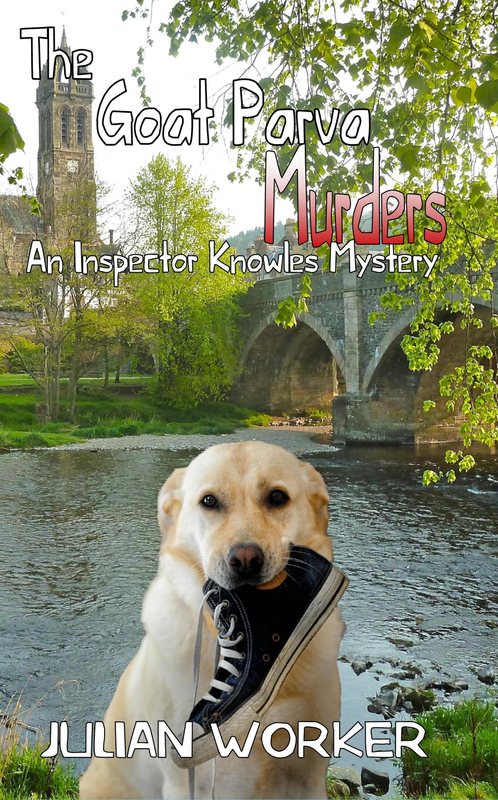 They feature Detective Inspector Knowles and his sidekick Detective Sergeant Rod Barnes. My background is that I was born in England and grew up there, but moved to Canada at the age of 41 twelve years ago. I go back to Britain every year to visit family and friends and can’t help but observe the quirks and idiosyncrasies of life there from an outsider’s point-of-view. It makes me appreciate how much Britain has and these stories are told as a result of this feeling. Thanks for the follow. I love to travel and look forward to your posts. Thank you, Contessa – where are you travelling next? New Orleans, LA then South America.